Demonstrates the knowledge and skills necessary to provide care appropriate to the patient population. Systematically assesses patient's overall clinical status. Acquires and evaluates clinical data from studies, measurements, and monitoring, with consideration for the age and diagnosis of the patient, and reports to/consults with MD as needed. Initiates a nursing care plan upon admission identifying primary problem, other active problems, goals and interventions. Updates care plan at least once per shift relative to the progress toward goals and progress toward meeting discharge criteria. Initiates nursing care, evaluating and monitoring patients' responses to such care, and modifying the prescribed therapy, involving MD when warranted, to achieve desired therapeutic objectives. Provides records all patient and family education based on learning assessment in patient medical record. Identifies need for and initiates referrals as dictated by patient status. Provides nursing and ordered therapeutic interventions according to current standards of care. 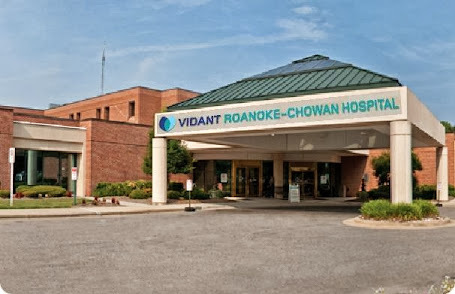 Continually seeks to improve quality of services provided and actively participates in unit based as well as hospital and or Vidant Health quality initiatives. Demonstrate use and application of the RELATE model for communication every patient, every family, every time. Provides records all patient and family education in patient medical record. Incorporates department protocol driven care appropriately to direct clinical practice. Uses universal precautions appropriately and performs proper hand washing according to infection control policy. Maintains confidentiality of patient information. Uses department scripts to effectively communicate with other departments, patients, families, coworkers and students in person or over the phone. Participates in life support activities as required, responding to RRT and Code Blue emergencies as per unit department protocol. Uses Red Rules and Patient Safety Behaviors to provide safe patient care. Demonstrates effective computer skills for electronic charting, billing as appropriate for department and order processing. Participates in Inservice Education, Patient Rounds Conferences and obtains education contact hours necessary to maintain licensure. Demonstrates a commitment to ongoing growth and self development by independently seeking learning opportunities throughout employment at RCH. Actively participates on Staff Action Team. As directed by the supervisor may have additional responsibility as charge nurse and or preceptor for students and/or new employees. ACLS certification and PALS certification. If not current at time of hire, must complete and maintain within first 6 months of employment. CPI training , If not current at time of hire, must complete and maintain within first 6 months of employment. This is a non-benefit position. Must be willing and able to work all shifts, including days, nights, weekends and holidays.